Adenomyosis is an obstetrical disorder that occurs in a number of women, usually after the child-bearing age. Get detailed information about the disease, including its causes, symptoms, complications, diagnosis, and treatment options. It is a benign condition in which the inner lining of the uterus called endometrium grows into the myometrium, the muscular outer layer of the uterus. The disease closely resembles adenomyomatosis, a condition characterized by an abnormal thickening of the gallbladder. In this type, the endometrial tissue extends throughout the lining of the uterus. In some patients, there is a localized collection of the endometrial tissue within the myometrium leading to the formation of an adenomyoma, a nodule or tumor. Cesarean delivery may carry a number of risks as healing takes longer than with vaginal birth. Cesarean sections are mainly responsible for transmission of infection and uterine trauma in the form of a rupture or scar. Tubal ligation, a surgical procedure entailing clamping/blocking/sealing of the fallopian tubes to prevent eggs from reaching the uterus for fertilization, could lead to the damage of the uterine layer. 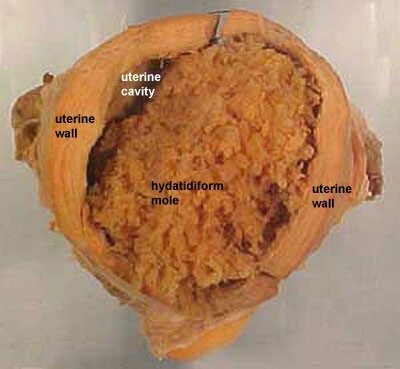 These surgical interventions may cause direct invasion of the endometrial tissues into the muscular wall of the uterus. Both surgical and non-surgical abortion can cause complications like uterine perforation as well as pelvic infection. The rate of risk is higher in the case of induced abortion. In some cases, there is an abnormal growth of the endometrial cells outside the uterus. The endometrial implants formed on the external layer of the uterus can get deposited on the muscular layer of the uterine wall during its development. The condition is marked by excessive production of estrogen, but little or no progesterone to balance its effects in women between the ages of 35 and 50. Normally, the amount of progesterone drastically decreases at the age of 35. Post delivery, a variety of bacteria or virus gets transmitted into the uterus in many women. This results in uterine inflammation and subsequent rupture. This condition makes the entry of the endometrial cells into the myometrium easier. Recent studies have revealed that due to a primary defect, the bone marrow stem cells may invade the uterine muscle wall and develop into endometrial tissues. Medical researchers have discovered an abrupt increase in endometrial interleukin-18 (IL-18) receptor mRNA and the ratio of IL-18 binding protein to IL-18 in patients with endometriosis uterine. Affected individuals also have a decreased level of Leukemia inhibitory factor (LIF), an interleukin 6 class cytokine responsible for cell differentiation, neural development and embryogenesis. Inadequate amounts of LIF can be observed in both endometrium and uterine flushing fluid. Physical observation may not provide sufficient information about the condition as the symptoms are common to other forms of uterine disorders. Healthcare specialists may go for a pelvic exam to evaluate any type of abnormality inside the uterus. In this examination, patients usually exhibit an enlarged and tender uterus. The underlying causes can at best be detected by conducting a few tests and exams. Transvaginal ultrasound may show an abnormally enlarged and bulky uterus. 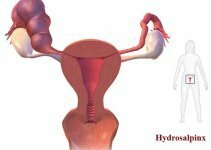 A contrast fluid is injected into the uterus from the cervix to view the endometrial cavity. 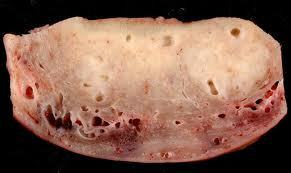 This is done to rule out the presence of submucosal fibroids. The test can easily differentiate the disorder from the round or semi-round uterine fibroids, which are composed of the same smooth muscle fibers as the myometrium, but may even be denser. The most distinguishing feature of the procedure is a thick junctional zone, the innermost layer of myometrium, due to the deep penetration of the endometrial tissues. The technique involves the removal of a piece of tissue from the inner lining of the uterus. The tissue sample is later analyzed under a microscope to determine the cause of abnormal uterine bleeding. The curative options for endometriosis uterine are many and varied. However, not all patients respond well to the same kind of treatment. Physicians may advise patients to take anti-inflammatory painkillers such as ibuprofen few days before their menstrual period in order to alleviate the severe pelvic pain. The medicines need to be taken even during periods to reduce the flow of menstrual blood and consequent cramps. Oral contraceptive pills, intrauterine device, vaginal rings and estrogen patch are some of the frequently-used methods for controlling the menstrual cycle. Such hormonal manipulation procedures can reduce heavy bleeding and constant pain associated with the condition. This is a moisturizing cream that can be applied on the skin of patients who are suffering from estrogen dominance. The topical medication easily bypasses the liver and reaches the specific receptor sites for progesterone. Most symptoms disappear after the application of the cream. Excessive or continuous bleeding during the menstrual cycle is often handled by removing or destroying the endometrial lining of the uterus. This can be generally done on an outpatient basis. This is the most common surgical option conducted on a number of women who are unable to respond to medications and hormone treatments. In this procedure, the uterus is completely or partially removed for permanent elimination of the symptoms associated with the disorder. Although the condition has a higher rate of post-operative complications like infection and bleeding, the technique is usually opted as the last resort. The condition can also be treated without the need of any drug therapy or surgical procedures. Natural herbal Chinese supplements like Myomin and Diindolylmethane (DIM) can reduce the excessive production of estrogen and shrink the benign tumor. The herbal therapeutic approaches remarkably reduce the symptoms and facilitate early recovery. DIM comprises of an array of vegetable extracts such as cauliflower, broccoli, brussel sprouts and cabbage, which converts the unhealthy estrogens into a form suitable for the body. Myomin also functions in the same way. Pregnant women with this disorder may develop pre-term labor due to which the baby is delivered before the completion of 37 weeks of gestation. Thickening of the myometrium may lead to rupture of the amniotic sac and chorion, causing detrimental conditions like sepsis and fetal cerebral palsy. In some instances, the disorder can lead to infertility and may have a negative impact on the outcome of In-Vitro Fertilization (IVF) treatments. Early treatment can produce significant results. Surgical and hormonal methods may include some side effects that could be resolved with the help of some additional medications. The possibility of endometrial cancer, however, cannot be ignored as this has been noticed in some cases. Endoboard.yuku.com and forums.delphiforums.com/adenomyosis are some of the online forums where patients of this condition, and their family members, can discuss all associated problems with various gynecologists. The symptoms of Adenomyosis are likely to disappear after menopause in most patients. However, the condition demands timely treatment, especially of younger patients as the symptoms may manifest into severe complications.